Though technically in Medford, Tufts University is close to plenty of fun things to do in Somerville. If you’re a student, the regularly-running Joey bus makes it even easier to access all the things Davis Square has to offer, in addition to the walking-distance options in Teele Square and along Boston Avenue. 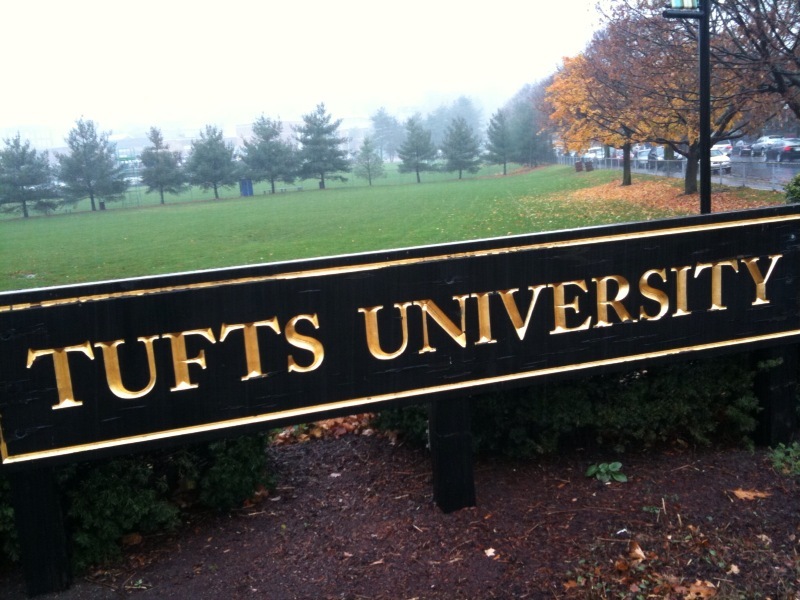 I’ve rounded up 10 options for things to do near Tufts around food, fun, and culture. Sacco’s Bowling, in Davis Square. Tucked away on Day St (to the left of the CVS in Davis), Sacco’s offers candlepin bowling right next to brick-oven fired pizza and a full bar. The energy in this place is incredible, and bowling’s one of those group activities I always underestimate how much fun it actually is. Play capture the flag in Powderhouse Park. The sheep statue & little park building you pass by on the bus are only half of the park — that giant rock wall has two paths on either side that lead to the upper section of the park where the actual old powder tower is. The upper edge of the wall offers a great view of the square and Tufts, and the if you can get seven or so friends together, the divided park makes for a killer capture the flag game. If you can’t round up a large enough crew, have a nice picnic in the park instead. Trivia Nights at PJ Ryans and On The Hill Tavern, plus pool. In Teele Square, PJ Ryans has weekly Pub Quiz nights on Tuesdays, and an extensive beer & whiskey selection. On the Hill Tavern, about as far of a walk from Powderhouse down Broadway as Davis is down College Ave, offers cheap beer, pool tables, trivia nights on Tuesdays, and sports trivia on Thursdays. PJ Ryans is a nice pub, and On the Hill Tavern is a definite dive bar. Take a look and see what you like. Try exceptional vegan food at True Bistro. Located in Teele Square, True Bistro is a four-star restaurant with some truly tasty meals. Vegan burgers, pasta, sandwiches, desserts, and other dishes. If you’re on a student budget, go during their lunch hours. Choose a side in the Ball Square Breakfast Wars. Two Ball Square breakfast restaurants have been duking it out next door to each other for years. Sound Bites and Ball Square Café (owned by a former Sound Bites chef) both have delicious breakfast foods of all kinds. Generous portions, fresh fruit, and nice atmosphere make these good spots. Have a slice at one of four Boston Ave pizza joints. Nick’s Pizza, Pizza Days, Lisas Family Pizzeria of Medford, and Espresso Pizza are all within a football field of each other along Boston Avenue. Only next to a college campus, right? Grab some friends one night, and get a slice from each spot — figure out where to order from next time you need a late night pie. Check out the beer / wine tastings and other events at Ball Square Fine Wines and Liquors. This place has been open since 2001 and has a great selection. They do free wine & beer tastings every Friday, spirits tastings on Saturdays, and a variety of other events throughout the year. Visit the Museum of Modern Renaissance. 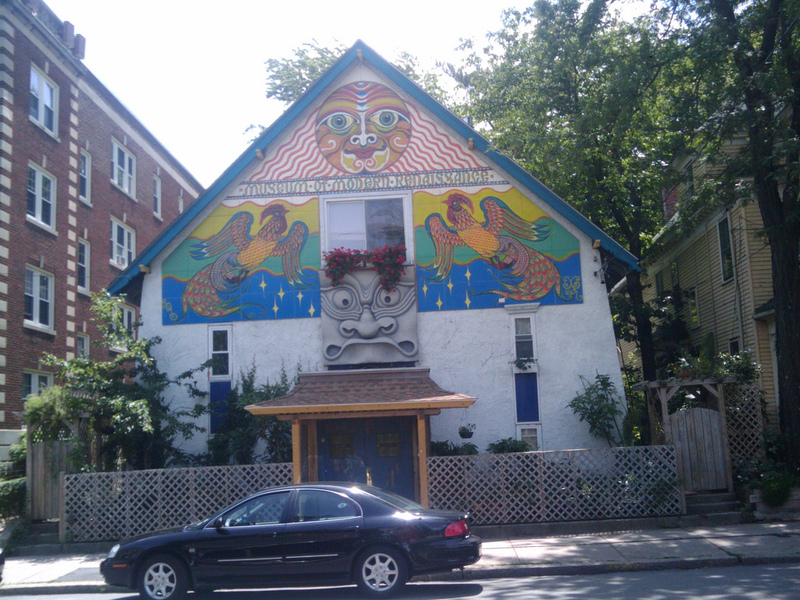 Better known as “that weird house with the face on it” past Powderhouse on the way to Davis, the Museum is a former Masonic lodge renovated into a home / studio / museum combination that’s only open to the public during specific events. Take a look at their website for a look at the incredible interior, and a list of upcoming events. Check out some art at the Nave Gallery. On the corner of Powder House Blvd and Curtis Street, for 14 years now the non-profit Nave Gallery has been helping make art more visible in Somerville. They host several exhibitions through the year, plus special events. You may have seen their repurposed-payphone art boxes at several locations around Somerville. See a show at the Somerville Theatre. Fast approaching it’s 100-year anniversary, the Somerville Theatre in Davis Square has not just newly released movies, but well-picked indie films, themed classic movie weekends, and a variety of live performance shows. Get your hipster indie film fix while still enjoying buttery movie theater popcorn.